Dolley Payne Todd Madison was born into a Quaker family on May 20, 1768. Her significance in the founding generation of the United States is often certified by a heroic action ordering the saving of a portrait by Gilbert Stewart of George Washington, however the First Lady of James Madison and Thomas Jefferson attributed innumerable strengths to a generation that will forever be remembered in American history. As a young southern girl, Dolley Payne had many connections to the founding fathers. Her cousin, Patrick Henry, is most notable for a speech given in 1775 proclaiming words that could not be more appropriate: “give me liberty or give me death.” Other prominent family members included her mother’s family, the Coles, who owned a plantation in Virginia. The Payne family had migrated to Virginia to become plantation owners, albeit on small scale. Throughout these experiences, Dolley Payne encountered numerous servants and slaves. In her youth, she aided in caring for the slaves and servants when they were ill and worked with the women of her family in the kitchen alongside them to prepare meals. As revolutionary ideas had surfaced, the Quaker faith had collectively reconsidered views of freedom. It was not uncommon for Quakers families to free slaves in the revolutionary era, and the Payne family followed suit. John Payne, the patriarch of the family, freed all fifty of his slaves by 1783. Not only did he receive no compensation from this, he also lost a trivial portion of his workforce on his plantation. As the years progressed, the Payne family eventually settled in a town that was less reliant on the slaves system and also welcoming to Quakers. Philadelphia was where it all began for Dolley Payne, eventually meeting her first husband John Todd Jr. and friend Aaron Burr. Through Burr, the young widow met congressman and eventual president James Madison. As the marriage united the two, they would become inseparable. In 1797, James and Dolley moved their family to Montpelier, the plantation of the Madison family. It is here where Dolley Madison would have a larger interaction with the institution of slavery. Montpelier had over 100 slaves in 1800, with separate individuals managing and overseeing the day to day tasks on the plantation. There were managers for separate areas of the large plantation, with slaves having distinct jobs and tasks. There were also families that have been created by slaves, and many of the families on the plantation had roots to slave families on other plantations. The simple Quaker and small plantation lifestyle a young Dolley had once been accustomed to vanished with the political success of her husband. An example of a slave who was very close to the Madisons was named Paul Jennings. He had been born to mixed parents at Montpelier in 1799 and remained closed to the Madison family throughout his life. Paul Jennings traveled with the Madisons to the White House, and his story was made into a book by John Brooks Russel called A Colored Man’s Reminiscences of James Madison. This manuscript is unique due to its account of daily activities of slaves in the White House.Jennings had also been by James’ side during his death, and lived with Dolley until she sold him to an insurance broker in 1847. Dolley had planned to release Jennings in her will, but desperate financial situations pushed her to sell Jennings. Daniel Webster had bought Jennings freedom shortly after, with Jenning paying him back over time. The story of Paul Jennings demonstrates the relationship Dolley had with her slaves, but the inability for her to free them due to financial constraint. 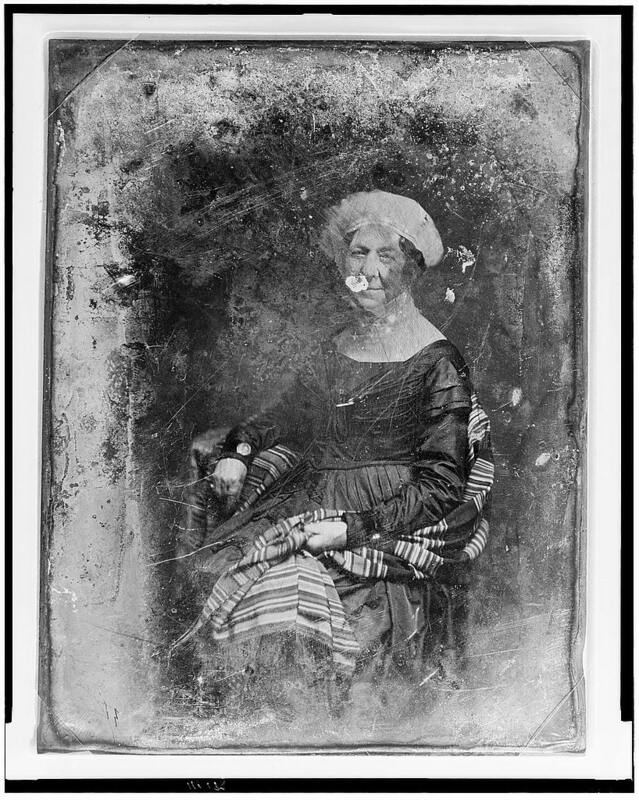 An older Madison, circa 1848. Obtained from https://commons.wikimedia.org/wiki/Dolley_Madison#/media/File:Dolley_Madison_three-quarter_length_portrait.jpg. As James Madison passed away on June 28, 1836, the future of his slaves were in the hands of Dolley. James made it clear to friend Henry Clay that he wished to free all of his slaves at his death, however he feared to leave Dolley alone at Montpelier without a workforce. Dolley had become increasingly indebted in the years following the death of her husband, due to her son John Payne Todd and his gambling woes. Caring for the slaves had always been second nature to Madison, however the option of freedom was not present during her later life. Freeing the enslaved population at large plantations was a complex matter due the intermarriage of slaves and the possible separation of families. Montpelier had various tasks that relied on slave labor, and given the financial difficulty presented in her widowhood, Dolley Madison could not afford to pay servants to do the same tasks as her father did when he freed his slaves in 1783. Eventually Montpelier was sold in 1844 by an indebted Madison, and the enslaved population was sold along with the mansion-plantation. Madison believed that her action would keep slave families together instead of separated and sold, although Madison did sell some slaves for money towards the peak of her financial difficulty. The decision outraged Henry Clay, who knew the true intentions of James Madison were to have Dolley free their slaves after her death. 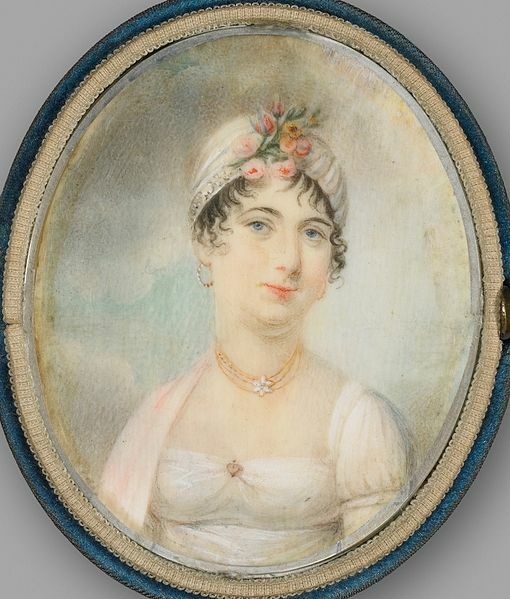 Dolley was a lovestruck woman who had taken on grand responsibilities due to her husband’s political status. She was not an ideological preacher, or a steamroller for issues occurring in the late 18th and early 19th centuries. Dolley Madison was a first lady, and she knew how to please a crowd of politicians, but she herself was not one in regards to having an ideological promise to end slavery or even free most of her slaves. Although Madison was under financial hardship, she did not have the same attitude towards slavery as her husband, who believed the issue to be an important one that would inevitably shape American history. Allgor, Catherine. A Perfect Union: Dolley Madison and the Creation of the American Nation. New York: Macmillan, 2007. Kent, Zachary. Dolley Madison: The Enemy Cannot Frighten a Free People. Berkeley Heights, NJ: Enslow Publishers, Inc., 2010.